The wedding day is definitely the best day for the bride and the groom to start their life happily ever after. However, choosing the venue could be a tough decision to make. Here are some incredible yet interesting places where your daughter and son-in-law-to-be can get married. Pledging one’s troth in a cave could be a glorious experience. Surrounded by the beautiful rocks of Mother Nature, it can be a great place to remember your daughter’s big day. Wookey whole caves give the opportunity to make vows on the most spectacular rock formations of any cave in England. With a capacity of 200 guests is a circus-themed restaurant with an eye-catching interior design containing decorative mirrors and huge chandeliers. Saying ‘Yes I do’ in front of the volcano eruption seems quite unimaginable. Right? Wrong! It has become a reality. A Filipino couple’s wedding photos in front of an active Volcano eruption in the town of Daraga (Philippines) spread like a forest fire on social media. Getting married near a Volcano could be a surreal souvenir to remember. Hawaii volcano national park provides you with some of the most stunning volcano views like Kilauea Caldera which is part of a live volcano with plumes of lava flaring against the sky. From hairstyle to accommodate guests in the hotel, the team of Hawaii National park arranges everything for you to make the wedding worth remembering. Soaring toward the clouds seeing your daughter and son in law tying their knot could be an unbelievable sight, right? Not anymore, because getting married in the sky has become possible. Wedding ceremonies in a hot air balloon have become an emerging trend these days. Some balloon baskets can carry up to 12 passengers making it a possibility for the loved ones to be there with the couple. Bailey Balloons provides the stunning experience of enjoying the wedding ceremony up in the sky. It offers exclusive champagne for the couple as well as guests with professional photography of the whole ceremony. Have you ever thought about being a queen in a castle? No? Here is the chance for you to make your daughter a princess with yourself being the mother of the bride, a queen. This could be a start of your daughter’s fairytale ending with the perfect beginning. 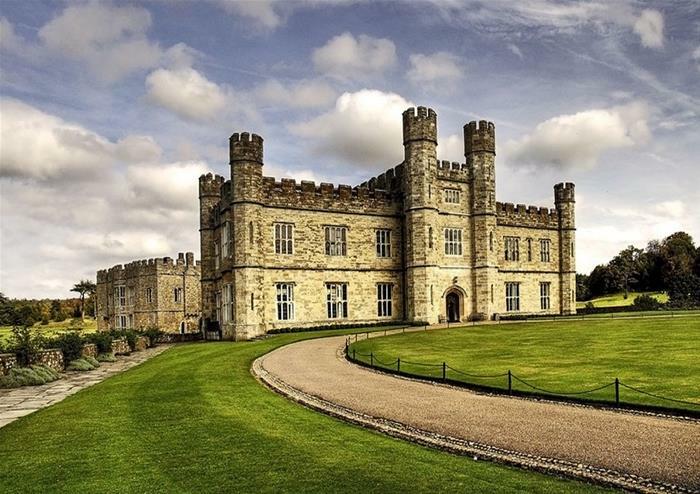 Known as the loveliest castle in the world, Leeds castle is an amazing and highly recommended place to get hitched. It is a perfect castle with jaw-dropping scenery surrounded by 500 acres of Kent’s luscious parklands and gardens. The wedding coordinators are responsible for arranging outstanding service. You don’t have to worry about photography, decoration and food because all the services are provided on site. Yes! This has happened and still happening. Princess Cruises, being one of the longest-running wedding cruises provides ‘tie the knot’ services offering floral arrangements, cake, a photographer, music, champagne flutes and last but not the least, a wedding certificate on board. Webcam services are provided to cast the ceremony to live for those relatives and friends who couldn’t attend the cruise wedding. The Alaskan cruise gives the option to celebrate the ceremony on a glacier with special arrangements for the couple, parents, relatives and friends present. They are provided with big clunky boots with crampons on the bottom to prevent slips. These are yet some great places to fulfil your dream of seeing your daughter tie the knot. The most interesting thing is that being mother of the bride, you get to enjoy it to the most and seeing your daughter smile would definitely double the level of joy.